Internazionale is waiting for Parma. For the rest of the Serie A Inter has to add up all they can to try to get into UEFA Europa League zone. But first they will have to break a tie between their draws and losses (4-4) and stop losing points away. 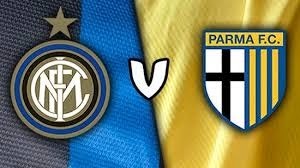 The host can do it well they got excellent goals-for and few goals-against but I think they depend on their topscorer Mauro Icardi to score more than 2 goals in a game lately. Parma must win these last 9 games to avoid fall into Serie B. They can't even get a draw they have just 9 points in 26 matches.